If you experience any trouble with the site, please review our Browser Requirements and please contact us if you are unable to resolve the issues. While you can visit any of the timeline tabs without being logged in, you must be logged in to see your data, graph, and timeline. As often as needed, you can return to the any of the steps to edit your existing content. If you aren't sure what a term means or need help deciding, hover over any of the key term text for more information (e.g. Lordship Commitment). Note: As hover may not be available on touch devices, we have made a quick reference Glossary that is at the top of this and all Help dialogs. Note: if you are not logged in key terms, links, buttons, and input fields within data sections will are disabled. On this and subsequent steps, a preliminary graph is available to demonstrate the upward, flat, and downward path segments for each "Key Life Season" you indicated on the previous step. Click the link labeled Show/Hide Graph (top-right) to toggle -- your display preference is maintained, so if you hide the graph it will remain hidden until you want to show it again. Also, the graph is displayed at a granularity of information appropriate for your screen size. For example, a mobile phone will not display the legend and will not show graph text. In addition to appearing in the graph, each "Key Life Season" is provided in the selection boxes where you are asked to choose the season that corresponds to a given stage. The seasons will be listed in age order (may not be the order in which you entered them). 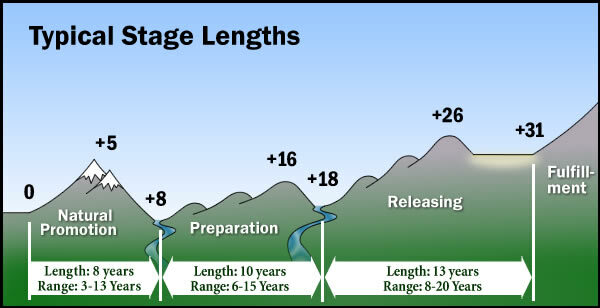 A link to the Typical Stage Lengths image will be available on subsequent steps for easy reference (top-right). As you complete stages (starting with Lordship), your journey information -- mapped against "Key Life Seasons" -- is maintained against the appropriate timeline model. You can click the link labeled Preview Timeline (top-right) to view, save, print and/or email the current version. If you do override a stage description at View Final Timeline page, changes to its mapped "Key Life Season" description (Step 2: Data) will have no effect on the preview or final chart display as the override will take precendence. Also, if you do change your selection (e.g. from Season 1 to Season 2) for a stage the corresponding override description is reset to the new season's description. As italicized text on the View Final Timeline page as well as when link Preview Timeline is clicked (top-right). As with grey circles (e.g. ) in the Graph Show/Hide Graph (top-right). Note: seasons before (or when not using) the marker are shown with blue circle (e.g. ). On any step, the button colored blue represents the recommended path forward. Clicking Previous will save your work and take you back 1 step. 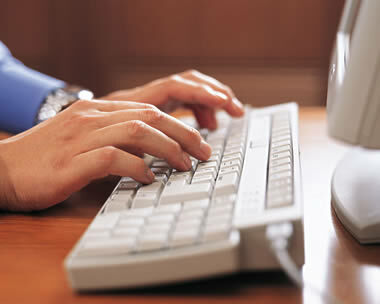 Clicking Next will save your work and take you forward 1 step. Button View Final Timeline appears after the last step (step 9). As mentioned earlier, at any time you can go over to menu link View Final Timeline (under "Your Timeline" on the main menu bar) to refine timeline descriptions and get a larger preview (your work will be automatically saved prior). Although work is saved on transitions between steps, at any point you can save work just in case by clicking Save Now. If you want to reload the state of a step from when it was last loaded (or saved), click Reload Data. At any point you can jump around by clicking on the step links at the bottom of the page. The life of the Biblical character of Joseph provides a key to unlocking your calling journey. The diagram below shows the standard timeline map, with with Joseph's life history superimposed above it. The names we use for the key stages and transitions are in white. We'll use Joseph's story as an example of the timeline you might want to get out your bible and follow along (Gen. 37-50). After this brief introduction, we'll start creating your timeline! From early in life, Joseph embraced the destiny passed down generationally through his family line. A timeline begins when a person fully embraces his or her place in the general calling to live as part God's Kingdom. For us, that means the starting point is the Lordship Decision: when we make Jesus Lord of our decisions and our future (as well as Savior of our souls) and embrace his design for our destiny. That commitment is followed by a season of Natural Promotion where we feel we are moving rapidly upward toward our call. These are Joseph's teenage years, when he was the favorite son at home and experienced God's anointing functioning through the limitations of his natural character (or lack thereof!) and prophetic gift. In this season, he got a taste of what living his call would be like. Leaders who make Jesus lord tend to begin the journey with a season of being wild and radical for God, taking faith adventures and getting a taste of what functioning in their gifts and abilities can be like. The upward season of Natural Promotion is followed by a time of adversity where we discover that natural ability is not enough for our call: we learn dependence on God. Joseph entered this stage when he was betrayed by his brothers and sold into Egypt. While this descent into the Valley of Dependence may be a direct result of our own arrogance and hubris (like with Joseph--he just couldn't keep from insulting his brothers with his dreams), it is just as often triggered by external events beyond our control. Maybe our parents get a divorce, a relationship implodes, or we can't find a job and end up flipping burgers for a living. For the first time, God uses major difficulty and failure to shape us, and we struggle and kick against those pricks to our ego. Eventually, we discover how much we are depending on our own strength and how deeply we need God. Some learn through a time of isolation that ignites an intense fellowship with God, while others get the same lesson through running from him! The details of how it happens are unique to each person, but the valley experience is common to man. As we learn to let go of the wheel and let God steer (even if he steers us into difficulty), we move out of this difficult time and into the Preparation Stage. Those who are prepared inside their area of call ("Inside Preparation") experience this as an upward-trending time of accumulating valuable skills and experience (see alternate graph at right). However, those God takes through Outside Preparation (like Joseph, they are prepared outside their calling vocation) often see it as a desert time of living under restraint, caught in the tension of yearning for God's release while hearing him say, "Not yet". This feeling tends to be most intense at the end of the stage. As the years lengthen, we wonder if we've missed it and God has passed us by. Joseph's imprisonment and disappointment at being forgotten for two years by Pharaoh's butler represent that desert time. God uses a second difficult valley near the end of this stage to deal with personal issues that threaten to torpedo our destiny later in life. This Valley of Wholeness is usually 1-2 years long. In it, God commonly deals with things like marriage or relational problems, life balance, sexual brokenness or secret sins. Once through this valley, we are a decade or two into our calling journey. The next lengthy season, the Releasing Stage, is experienced as a productive, upward season, often filling a role that serves as an apprenticeship for one's calling. For those in Outside Preparation, the start of the Releasing stage often includes a sudden move into their area of call. Joseph's being taken out of prison and becoming Pharaoh's right-hand-man is a great example of how this Day of Releasing can come with a bang. Often marked by a relocation or career change, it catapults us into our calling arena with a new level of favor and promotion. We experience the joy of finally beginning to do the thing we were made for. Joseph's first nine years as Pharaoh's second in command comprise this season on his timeline. But a third valley remains. This late-life Valley of Identity (most commonly experienced in one's forties or fifties) sparks a transformation of who we are--from one who is in preparation to one who actually is now prepared. We must Take on the Mantle of Our Call: learn to see ourselves as the person we've always dreamed of becoming. God asks us to step up again, and take a big risk based on that identity--that we are ready, and we can do what he has called us to do. In the Releasing Stage, Joseph is accomplishing great things outwardly in his role. However, he is not yet fulfilling his call because that call involves his family. Instead of forgetting his past hurt and betrayal, Joseph must come to terms with it. God sends a Valley of Identity with the return of his brothers, an event which compels him to let go of being betrayed and take on his calling identity as preserver of life for his family line. Like Joseph, we must embrace who we are made to be, take a Big Risk and begin to channel the message of our story through our role to move into our Fulfillment years. To sum up, our map consists of four key stages of productivity and outward advancement, separated from one another by three valleys where God focuses on shaping our inward being. Since this is a Calling Timeline and not a life stage model, it starts with when you make Jesus Lord, regardless of what age that occurs. If you come to Christ later in life, the stages are shortened in length but still take you through the same progression. So, let's build your timeline! The first step to mapping your calling journey is to list your key life seasons. You can enter them one by one in the form below. The timeline charts how you felt at the time about your progress toward your call. For instance, if in your early thirties your influence was expanding and you felt like you were really moving toward (or in) something great, your graph for that period goes up. On the other hand, if you go through a time where God felt distant or you didn't feel you were going anywhere, the graph would trend downward for that time. For each transition in your list, you'll choose whether that started a season of upward progress, a flat stagnant season, or a downward time where the call seemed to be getting farther away instead of closer. The purpose of the timeline is to help you understand the larger stages of life. Therefore, only list seasons that are at least six months to a year long in the blanks below. For instance, if things went really badly at work for a month and then you bounced back, don't put that in your list. Almost all significant seasons begin and end with a transition where your graph changes direction. For instance, one of your valley times might start with a difficult event (like when Joseph's brothers showed up in Egypt) that throws you into a time of confusion or reevaluation. So as you make your graph, look for major transitions that move the graph in a different direction for a significant period of time. Changing jobs or even relocating only represent a major calling transition if the graph changes direction! First, for display purposes, please provide your name as you want it to appear on your final chart. Next, please provide your year of birth as it will be the basis for all age-related calculations in subsequent steps. In the table below, list the major seasons (also referred to as transitions) of your life thus far. Enter the age you were when this season started, a brief description of what happened or what kicked off the season (kept brief for later display), and whether it was an upward, downward, or flat time. The calling timeline starts with when you made Jesus Lord of your decisions and your destiny, so be sure to enter your Lordship Decision as one of your key transitions. Your list of seasons can be in any order, and you don't have to fill up all the boxes. Now we'll begin plotting the transitions from your preliminary graph onto the calling timeline by having you identify stages. First, we wanted to make you aware that we have made some tips and key term definitions available from the link labeled Help & Glossary (top-right).These tips will also be available on subsequent steps if you need a refresher along the way. Your Lordship Commitment is the point in life where you put Jesus in charge of all your decisions and your future, as well as making him savior of your soul. For some, those two choices are synonymous. For others, especially those who grew up in the church or came to Christ at a young age, the decision to let Him have all of me and to submit all of my life that I know how to him is a separate moment. The calling journey begins with the Lordship Commitment, because that's when we begin to intentionally line up our life with our calling and join the family business of the Kingdom as workers as well as heirs. When did you Lordship Commitment occur? The opening stage of the timeline, Natural Promotion, consumes the first few years after your Lordship Commitment. It is a season of rapid ascent based on God's grace working through your natural abilities. Doors open, you move forward quickly in your calling, and you feel that the fulfillment of your dreams is only a short distance away (remember, we are mapping how you felt at the time!) For Joseph, these are his teen years as the favored son. David's early years felling Goliath and serving Saul in the palace are another good example of this stage. 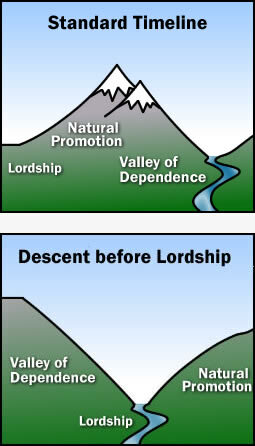 The upward Natural Promotion stage is paired with first downward period, the Valley of Dependence. This valley is perceived at the time as a painful, downward season of personal failure or adversity that averages about two years long, where the call seems to get farther away instead of closer. Life does not turn out the way you expected, exposing the limits of your natural abilities and pushing you to deeper dependence on God. For Joseph, this valley begins when he is yanked out of his family and sold into slavery. Either season can come first (compare the two graphs at right). The most common pattern is making a Lordship Commitment, then a several-year period of growth (Natural Promotion), followed by a crash that leads into the Valley of Dependence. If that sounds like your life, choose the Standard Timeline. However, some people seem to descend into the Valley of Dependence first, make a Lordship commitment at the bottom, and then experience Natural Promotion. This pattern is most common for individuals who grew up in a Christian environment and then ran from God for a time as a teen or young adult. In this pattern, the natural promotion years are not immediately followed by a big valley. If that sounds like you, choose the Descent Before Lordship version of the timeline. From the drop-downs below, choose which variation of the graph fits you best. Then select the entry on your transitions list where your descent into the Valley of Dependence begins. (Note: one stage or valley on the Calling Timeline may encompass several events in your preliminary graph). When did your Dependence Stage begin? Which graph best fits, the Standard or Descent? The next step on your journey is the Preparation Stage. If you've finished creating your graph, click the "View Final" button at the button of the page to see and print your final timeline. The Valley of Dependence ends. If you are on the standard timeline, this period of difficulty comes to a close as you accept a role of greater dependence on God and you graduate from this time of inner formation. Life gets better again and your timeline changes back to an upward direction. A Season of Healing may begin. For those on the standard timeline, God often gives the gift of a period of refreshment where things go well after the difficult Valley of Dependence. A Preparation Role begins. You settle down for the long haul in the job or primary occupation God uses to develop the skills and experience needed for your future call. The focus tends to be on General Skills (the larger competencies like managing your time) and character-building which can be accomplished whether your role is within your area of calling or outside of it. If your story fits the Descent before Lordship pattern, the upward line of the Natural Promotion stage flows right into the upward Preparation stage, and the main dividing line between them is entering your Preparation Role. Select the entry from your list that best fits the beginning of the Preparation Stage. When did your Preparation Stage begin? There are two different ways leaders experience the Preparation Stage, although it may not be obvious which you are in until the stage is over! Some go through Preparation in a primary role outside of their area of call. For instance, Joseph worked in prison and in Potiphar's house in this stage, even though his call was as a political leader in Egypt, not a slave. Maybe you are called to missions but your primary role in this stage is as a stay-at-home mom, or your call is to ministry but spent this stage in the marketplace. Leaders in this Outside Preparation pattern often experience the latter part of the stage as a flat, wilderness time. There are few signs you are advancing toward your call, and you wonder if your dreams will ever come (like Joseph did in his last years in prison). However, others go through this stage in a primary role within their area of call. Samuel is a good biblical example: he spent his entire career from when he was a boy in the ministry field as a prophet. If you are called to business leadership and you spend this stage functioning as a manager, or you're called to teaching and that's what you were doing, your story fits the Inside Preparation pattern. Select Inside or Outside Preparation from the drop down below. If you aren't sure which it is, just take your best shot: it may become clearer as you look at later stages, and you can always come back to this page and change it. Which best describes you, Inside or Outside Preparation? The Preparation stage ends with the beginning of the Valley of Wholeness. This second valley season is commonly one to three years long, beginning an average of 16 years after one's Lordship Commitment. In this valley, God leverages our circumstances to help us deal with thorny issues that would derail our calling later in life. The most common growth agenda in this valley is personal wholeness: life balance, relational health, marital or family issues, unrefined gifts or secret sins. For those whose primary role is outside their area of calling, the major issue is often a crisis of belief. After years of waiting to see our destiny,we wonder if God has passed us by or if our dream will ever come. Do we keep believing for something we thought would happen years ago, or will we settle for less? This was Joseph's struggle after being forgotten in prison by the baker, as well as David's when began to lose hope and took refuge from Saul in Gath (I Sam 27:1-2). For some, this valley is a traumatic event, while others pass through it on a fairly even keel and a few even seem to skip it. It is the valley we most often enter voluntarily, by asking for help instead of being forced to get it. Successfully navigating it launches us forward to a new level of impact and effectiveness in life. Which event on your preliminary graph best fits the characteristics of the Valley of Wholeness? For most people, this valley occurs between nine and twenty years after your Lordship Commitment. Make your choice below. When did your Valley of Wholeness begin? The Valley of Wholeness is followed by the Releasing Stage, a second long period of growth in skills and experience somewhat similar to Preparation. Beginning an average of 18 years after one's lordship commitment (allow this can vary considerably), this time of expansion commonly lasts around a decade. The inward growth we've experienced in the Valley of Wholeness launches us into greater impact, although many individuals report having to take significant risks (like launching a new company, relocating or stretching financially) to attain it. Here Joseph took the risk of believing he could interpret Pharaoh's dream, and Moses risked returning to Egypt where he was a wanted man. This stage is a time of apprenticeship to one's call. We may assume a smaller version of our ultimate calling role (as David did during the seven years when he was king of Judah only), which allows us to take the General Skills we learned in Preparation and convert them to Specific Skills that fit the particular role we're called to fill. In general, it is a satisfying period of expansion and productivity that can be hard to distinguish from the Fulfillment stage—until we reach that stage and really experience it! For leaders whose lives follow the Outside Preparation version of the timeline, the Releasing stage begins with a bang as God moves you into your area of call for the first time. This joyful Day of Releasing is a major transition that frequently includes a career change, geographical move or major promotion. Many times another leader recruits and sponsors you into this larger sphere of influence, as Barnabas did with Paul and Pharaoh did with Joseph. Select the entry from your list that best fits the end of your Valley of Wholeness and the beginning of your Releasing stage. When did your Releasing Stage begin? The last great passage in the calling timeline is the Valley of Identity.Usually experienced 15 to 30 years into the calling journey and lasting an average of four years, it comes as a shock to many who feel life should be smooth sailing by now. The valley is often triggered by a loss of favor, influence, position, and/or financial reverses. Going through a major downturn in what we feel are our legacy-leaving years gets us asking fundamental identity questions. God is using these difficulties to save us from putting identity in our work or even our calling—sometimes by surgically removing us from our career! He creates in us a healthy detachment from call by bringing us to the place that if it never happens, he is enough for us. Armored against making our call into our idol, we are finally ready to fulfill it. During this crucible time, our focus shifts decisively from doing to being, and we shift from pursuing significance through our own ventures to finding success in the success of others we invest in. For Joseph, the return of his brothers triggered this valley. It forced him to grapple with opening up to his family again and rethink his identity. Instead of seeing himself as the son his family sold into slavery, who became successful on his own in a foreign land (see Gen 42:51-52) he became the man God sent ahead to Egypt to preserve the lives (Gen. 45:7-8) of those who betrayed him. A major challenge of this stage is taking on the mantle of our calling identity: beginning to act as though we are now the person God has called us to be. A significant hurdle is presenting yourself as who you really are—to be able to tell others without shame or self-consciousness who God made you to be. Just as Jesus proclaims "I am the way, the truth and the life" or Paul accepts the title of "Apostle to the Gentiles", we must put on the name God has given is. God often puts leaders in the position of having to believe all alone, in spite of all odds that they are who he says they are. The gift of this experience is the final assurance that God has called me, and he will come through for me. Select the entry from your transitions list that best fits the beginning of your Valley of Identity. When did your Valley of Identity begin? The Fulfillment Stage begins at the ending of the Valley of Identity. In this season, the Jesus you were born to embody (your being call) is complete, and becomes fully channeled through a role or task (your doing call) that really fits you. For instance, Joseph's role as a leader in Egypt allowed him to fulfill his doing call to preserve his family and at the same time was a perfect channel for the message of his life: "God meant it for good" (Gen. 50:20). Our greatest impact and ultimate legacy are created during these years. We experience a great flow of God's favor, a deep intimacy with him and the joy and contentment of a life well lived. At the same time, we have an urgency to make the most of these years. A key task at the beginning of this stage is the development of a Convergent Role. Based on a lifetime of experience, we craft a role that fits our best strengths and allows the Christ-in-us to come through most effectively to those we are called to serve. The onset of this stage is often accompanied by another great big risk: God may call us to lay everything on the line for what he has called us to do and be. A great temptation at this point is to coast toward retirement, or to rest on one's laurels and instead of taking the risk to reach for all of what God has called you to. Many leaders experience a promotion, take on greater responsibilities or launch their life's work at the beginning of this stage. However, others downsize their roles and move from exerting influence through an organizational role to having their major impact through relationships. The focus may shift from leading to writing, mentoring, sponsoring and empowering other leaders. If you made it this far—congratulations! You've run the race well! Select the beginning of your Fulfillment Stage from your list of transitions. When did your Fulfillment Stage begin?